HPA this year truly presented us with five days of candid conversation with world-class thinkers. 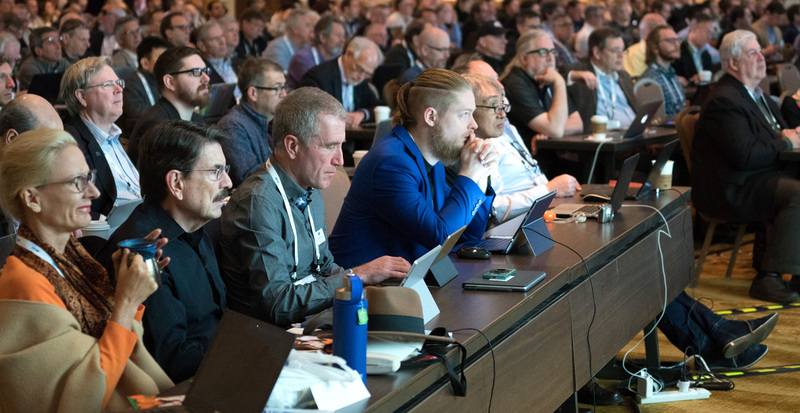 The conference brought content creators, production managers, Hollywood, OTT, and broadcast giants together in large “supersessions” where wide-ranging topics were discussed. Topics covered this year included everything from IP-based workflows to color-correction tips. As a hardware engineering and manufacturing company, we were mostly interested in the panels that featured some of our largest clientele (Sinclair, Cox, NEP). It was surprising to find minimal discussion of live production and broadcasting while seeing an immense focus on OTT. One of the most enlightening presentations was a comparison of cable/OTT and broadcast workflows by Phil Squyres of Sony Pictures TV. After watching the presentation, it was easy to see the attractiveness of the cable/OTT world for content creators. Let’s take a look at the creative workflows in the world of broadcast and compare it to the cable/OTT world. In the broadcast world, creators must learn to work with a fixed number of distributors like NBC, CBS, FOX, ABC, or CW. In this framework strict content restrictions (FCC) and cancellation decisions are often made after only a few episodes. Therefore, talent and production face an unknown future. Broadcast delivers HD video and surround sound while dealing with much tighter productions schedules. When looking at the creation workflow of the cable/OTT world. There are hundreds of distribution channels including HBO, Netflix, FX, Discovery, and more with much fewer content restrictions. Most series are shorter (10-12 episodes) when compared to broadcast and cancellation decisions are made later in the process. This creates substantially more security for the talent and creatives alike. Producing for cable/OTT opens the world of 4K, HDR, and Atmos audio. The “binge-watching” nature of OTT lends itself to more intricate storytelling and the time allowed to produce is typically 2-3 times longer than broadcast. All this extra time to produce also comes with a downside. It has a major impact ranging from cost and time commitment to the storage of material. According to Phil Squyers, creators will have to store over 120 terabytes of material for weeks or months. Additionally, the audiences are generally not as large because they fill specific niches. Broadcasters have looked for ways to add OTT distribution as a potential revenue stream but struggle to see significant ROI. What became clear was the cable/OTT world is not something you can do on a part-time basis. It’s a large financial and time commitment. To discuss this further and how it might apply to you with one of our professionals don’t hesitate to contact us online or by calling us at 801-575-8801. Looking to Get the Job Done With Less Staff? 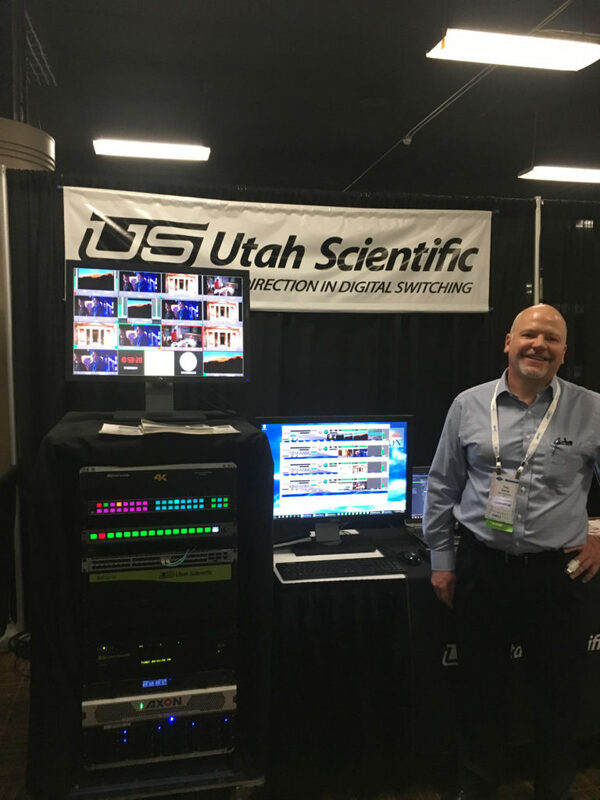 Utah Scientific loves visiting SMPTE’s annual conference because it brings a wide array of interested individuals to meet with. The SMPTE community is made up broadcast, production, post production, government and more. It is such a diverse group of professions it is always guaranteed to keep us on our toes. 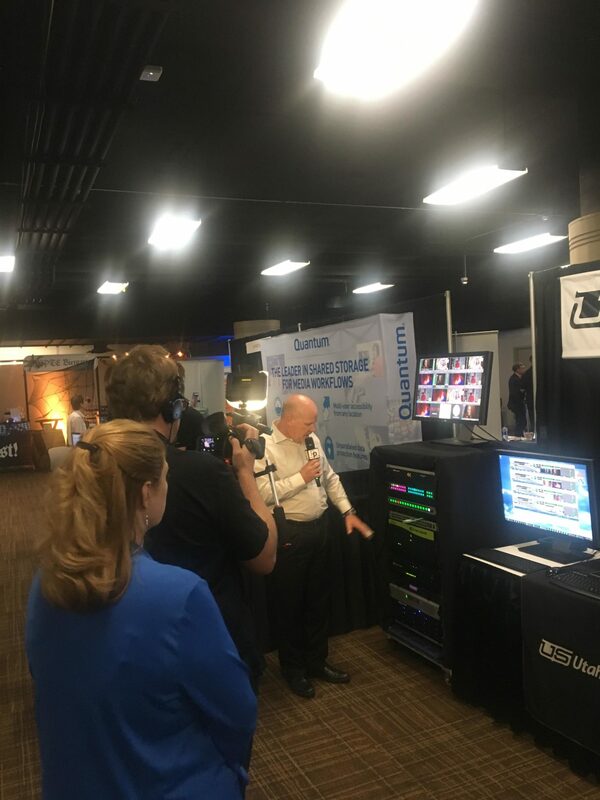 This year our VP of Sales Troy Davis made it out to the show and covered popular topics of interest including SMPTE-2110, 2022 routing, control, and our monitoring systems. Amongst all the interest we noticed a lot of excitement this year at our booth for Emotion audio file software. Understandably, companies are working to reduce margins and get the job done with less staff. When making or distributing broadcast content there are several excellent tools to help get the video right or where it needs to be, but once the audio has been mixed and added to the media file, there isn’t much available to alter it. But this is where multiple versions are required to create all the required deliverables and the need to create the deliverables ends up increasing staff. Emotion audio file software reduces that need. We think that with the large amount of content creation and more importantly content distribution in Los Angeles the emotion product makes lot of sense for individuals that visited our booth this year. It also makes a lot of sense to consider the hardware that Utah Scientific has available because our routing and distribution hardware is the only hardware industry wide backed by a no fluff 10-year warranty. Here at Utah Scientific we like to ensure that businesses can comfortably reduce margins through dependable solutions that simply don’t quit. Utah Scientific uses an innovative matrix architecture which lets all our routing products scale from 8×8 to 1056×1056 and beyond using a single family of matrix building blocks. In addition to flexibility of configuration our routing and distribution products typically provide a huge reduction in physical space required for routing hardware and have significantly lower power consumption requirements. We provide a host of solutions, each and every one of them is flexibility you can count on.If you need to follow up with Troy regarding SMPTE or have additional questions don’t hesitate to contact us online or by calling here 801-575-8801. 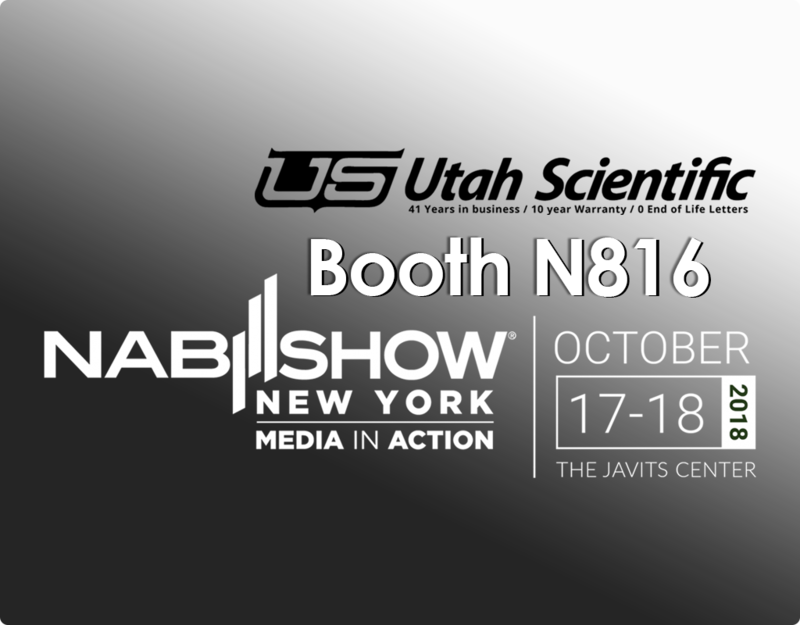 At the 2018 NAB NY Show, Utah Scientific will demonstrate its innovative 400 Series hybrid digital router a flexible platform designed to accommodate next-generation IP signals along with today’s high-density SDI. All within a common frame. The 400 Series can handle any number of IP and SDI signal formats along with audio and data. The new SMPTE ST 2110 and SMPTE ST 2022-6/7 IP formats are supported, along with 3G-SDI, analog, HD, SD, and audio signals including analog, digital AES3, MADI, TDM, and AES 67. 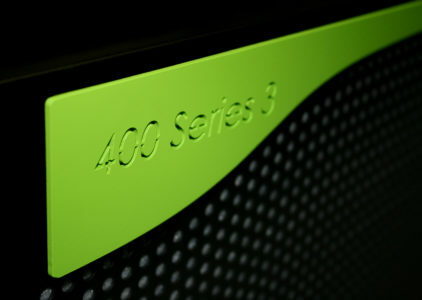 Additionally, the world’s first SDI/IP hybrid “pass-through” card will be available only in the 400 Series. The pass-through card will change how broadcasters look at the SDI/IP transition. The router also handles all major digital and analog audio formats, features advanced signal processing for embedding and de-embedding, and is backed by the industry’s only no-fee 10-year warranty. The Utah Scientific 400 Series Hybrid Router integrates with the SynView 4K and IP multiviewer. SynView from Axon is a powerful, modular multiviewer that can handle both 4K and IP video formats. SynView is the industry’s only single-field latency multiviewer system to offer external looping for an unlimited number of input channels. Intended for enterprise broadcasters that need to meet growing consumer demand for UHDTV content. The router is fully compliant with SMPTE ST 2081 and ST 2082 standards for SDI video and compatible with the full line of Utah Scientific products. The UHD-12G can be controlled by any version of Utah Scientific’s current family of routing control systems, including the SC-4, SC-40, and SC-400. In modern broadcasting, multiplatform delivery and multipurpose repackaging of content demand mastery of multiple workflows. Cerebrum software makes the control and monitoring of a traditional or IP broadcast infrastructure easier, more efficient, and cost-effective than ever. Cerebrum provides comprehensive tools with which to configure, control, monitor, and maintain products from any manufacturer within and beyond the broadcasting industry. -Dave Burland, President and CEO, Utah Scientific. 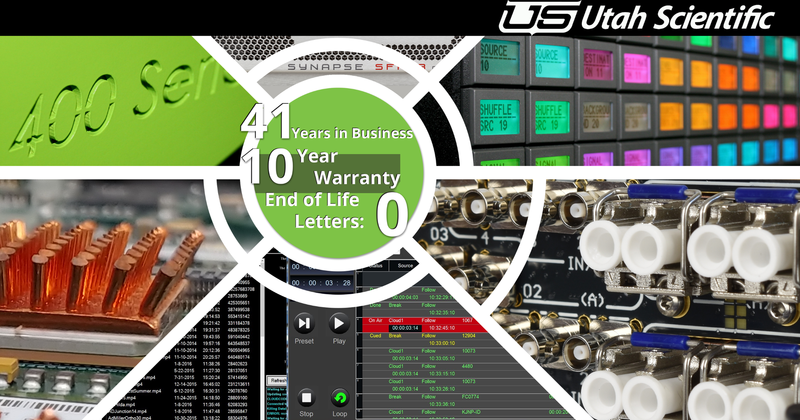 Utah Scientific is the world’s leading specialist in routing switchers, master control switchers, and related control software, and it set the benchmark for the broadcast industry with the first no-fee 10-year product warranty. Since 1977, the company has provided industry-leading products and best-in-class service and support as recognized three times by Frost & Sullivan with its global Customer Service Leadership Award. Additional information about the company can be found at www.utahscientific.com. With IBC in the rear-view mirror we can look back on what was yet again another great show. 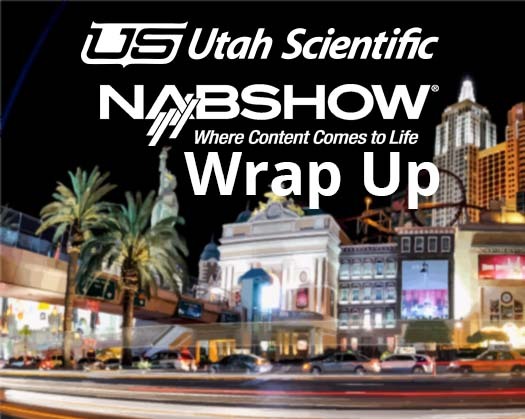 Whether it be the ongoing transition in signal distribution methods from SDI to IP or format changes such as 4K (even 8K) and HDR, this was another great opportunity to demonstrate how we here at Utah are helping our customers to navigate all of these technologies. 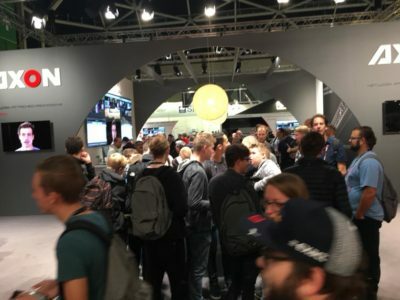 We certainly live in a hybrid world and that much was quite apparent at IBC given the wide variety of products being shown. While many are making a quick transition to IP based workflows, just as many are still looking for how and when to execute such a transition. This is why we were demonstrating just how this transition can be handled, at the customer’s preferred pace, with Utah Scientific’s broad selection of products. While there are certainly new build situations where people have the luxury and budget of purchasing all new products, the reality is that most broadcasters will be put in a position of transitioning existing facilities to newer platforms. This is much easier said than done, which is why Utah Scientific is here to help every step of the way. Budgetary constraints will require broadcasters to make strategic moves on when and what will be replaced or upgraded and this will require products and solutions which work in a myriad of environments. With Utah Scientific you get the flexibility you need to upgrade the components you want, at the time you’d like. Beyond that flexibility it is also very important to mention that all our hardware comes with the industry’s best 10-year hardware warranty. We want clientele with budgetary constraints to consider the benefit of peace of mind. If you have to be strategic you want to buy hardware that you know is going to work for longer than the next year or two. You want something that you can be sure won’t receive an end of life letter the following year. You need a company will not only stand behind that hardware but help you expand your existing infrastructure while easing you into the standards of tomorrow. When it comes to experience Utah Scientific is one name that has been there since the very beginning. We have been serving the broadcast industry ever since our first analog video router. Today we live in a different world, and keeping up with the market today requires innovation, reliability and the efficiency. By definition innovation is action or process of change, new methods or ideas. Utah Scientific’s innovation can be found in every product big or small to fit any operation. We have pioneered many features that are considered commonplace in the industry from multi-format routing, integrated A/D and D/A conversions on inputs and outputs as well as 300 megabit switching. In terms of efficiency the majority of our products are geared to get the job done while expending less energy. Not only do our products take up less space, but they are readily scale-able and have been proven capable of inter-operability meaning you can add more to do more as you grow with the assurance that your Utah Scientific hardware will continue to function. Our 10-year warranty is the best in the business providing clients with the ultimate in prestige care and quality service. Some might ask why we offer such a long warranty compared to the competition. It’s because we are confident our products work, plain and simple. To us, this is the ultimate in dependability and true statement of our quality. When it to routing we haven’t just been here for 41 years, we have been serving the Industry by providing the cutting edge products our clients need. Your infrastructure requires mission critical success and dependability. To learn more about our 10-year warranty or discuss any of the products that we provide please feel free to reach us online here or call us at 801-575-8801 today! Is it necessary to update my Utah Scientific firmware or software? Well…that depends. In some cases, it is important to upgrade, for example: Sometimes a new known issue with the component is discovered prompting the need for an update to fix it. In other cases, an update may be optional. This typically happens when a new feature is developed and released. Other times it might not be needed at all! We are always happy to check the release notes for a product to determine if there is in fact an upgrade and if we find one we can help you determine if it is necessary or not. Typically, Utah Scientific does not notify all our customers whenever a new release is available. When a product is shipped we ensure that it has the latest version installed. Unless an issue comes up with that component shortly after release or a new feature is developed and released down the road, no update is ever truly necessary. Since updates typically aren’t a major need, we don’t publish them on our website or make huge release announcements. If you are curious about the existence of an update or availability at any time, we recommend contacting our service department. When we provide an update, it can be done a few ways. Depending on the component and level of complexity, this can be as simple as sending a file to you via email or as complex as having one of our service engineers remote in and perform the update. Either way all you need to do is sit back and speak with our service team to determine what will work best. Depending on the warranty and service plan that the component is under it may require a fee for updating any software and firmware. There are some components that would require replacement hardware that would incur additional costs to update to current versions. Would you like to know more? Click here to reach out to us online or call us at 801-575-8801 Today! For non-emergency inquiries, normal business hours are 8 a.m. to 5 p.m. MST (-7 GMT). DVG was an excellent show this year. We exhibited our line of Routing Switcher and Master Control Products. In the picture shown above, Utah Scientific Regional Sales Manager George Wicker (center), is talking with Digital Video President Bill Martin(on right in red shirt), as Bill brings Waterman Broadcast’s Harold Wright over to discuss new expansions to their existing Utah Routing system located at Waterman’s WVIR TV station. Utah systems have been in place at WVIR for almost a full decade and continued to serve all WVIR’s needs in both Master Control and house routing system. Digital Video Group’s COO, Alex Martin stated that literally hundreds of both new and existing customers attended this years trade show. He feels it is a sign of the country’s improving economy and the need for Broadcast facilities to continue to invest in their infrastructure with products like Utah Scientific. Martin noted Utah was one of the most trusted and reliable companies in the business, due to their industry leading 10 year warranty. Customers also love the fact that Utah continues to manufacture its products in the United States. 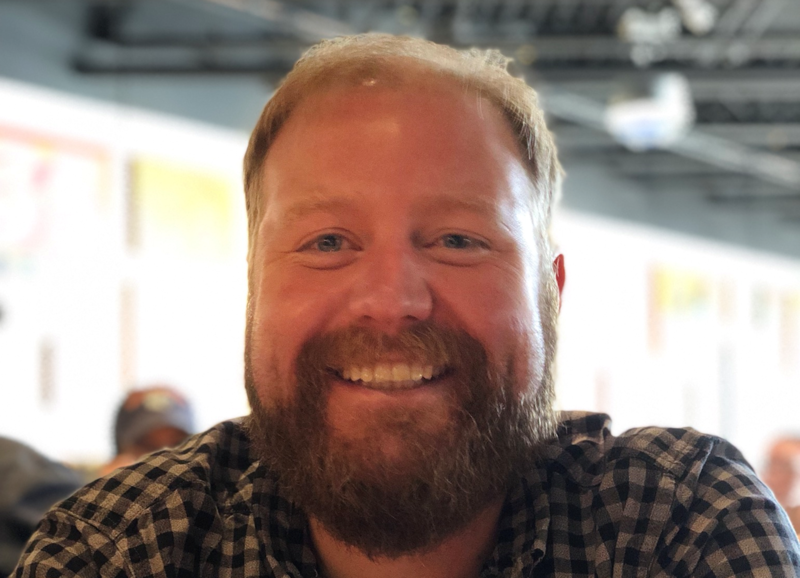 Digital Video Group is expecting to expand their business with Utah Scientific with new strategic partnerships that Utah is offering with AXON for multiviewer products, NVerzion for automation and server products, and Norwia for fiber products. Something else that caught everyone’ eye was our new Hybrid Routing products, designed to meet the industry requirement for SMPTE 2110 standards of the IP future of TV Broadcasting. The new SMPTE 2110 products and new Utah products like “On-Ramp” allow existing owners to upgrade to 2110 and use SDI signal inside the same router frame. Those same products allow new customer to use Utah products to begin to enter the SMPTE 2110 standard with a lower migration for the new 2110 infrastructure. NAB Las Vegas 2018 was a real treat this year. We want to thank everyone that made it out to our booth including our strategic partners Axon, Emotion, NVerzion, and Norwia. Together we stayed busy and met a lot of new and interesting people. That said, we wanted to discuss a few of the things which stood out the most and wrap up our experiences. 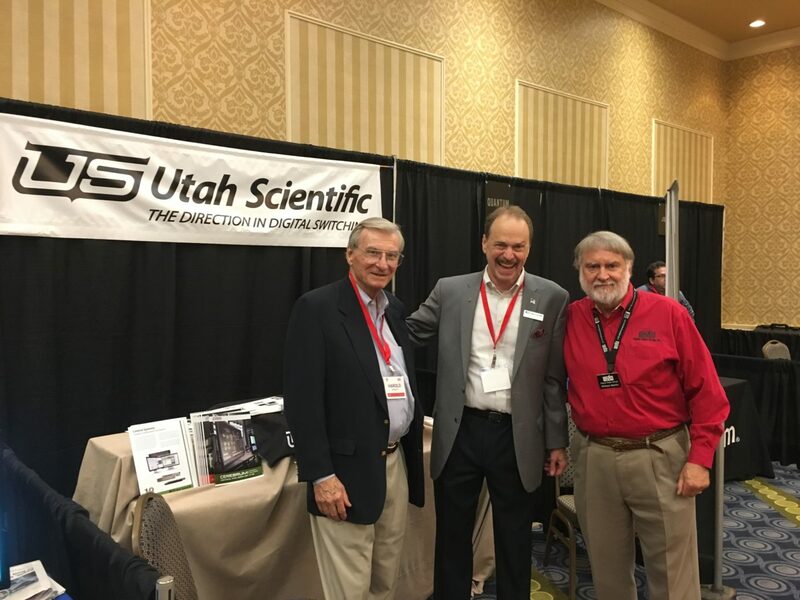 This year we showed top of the line solutions from not only Utah Scientific, but from our partners as well. The solutions we were showing ranged from hardware based to software workflows and full end to end workflows. These products are intended to empower users and customers to not only get the job done, but get it done right in an effective fashion. It’s this power of choice that helps our customers find the most ideal approach to any situation with confidence and ease that only the assurance of a 10 year warranty and solid reliability can provide. To address the evolving IP requirements, Utah Scientific unveiled the new Pass-Through card for any Utah 400 Series 2 or 3 router. Additionally, the new Pass-Through card can operate on a stand-alone basis to efficiently convert SDI to IP signals while maintaining the original SDI signal for use elsewhere. This unique and revolutionary option, which can be combined with any other existing card combinations, allows for twelve 3G/HD/SD signals to be switched in SDI while simultaneously providing IP copies (2022 or 2110) and fed to IP fabric. With this dual functionality users will be able to work within their current SDI infrastructure while migrating to more IP based workflows. Most importantly, this allows for anyone seeking a path from SDI to IP to make this migration at their own pace. If you would like to know more reach us online here or call 801-575-8801 Today! We get a lot of questions about high-dynamic range (HDR) and wide color gamut (WCG). It’s an important issue to examine, because we think it is a game changer – HDR and WCG will provide a transformative viewing experience to the mass market. Our partners at Axon Digital have done a good job of clearing things up with their new paper, “The Road to Enhanced Pictures: A technical guide to HDR and WCG,” by Peter Schut, Axon Digital CTO. He discusses the challenges faced by both broadcasters and manufacturers as they strive for better pixels, improved color reproduction, and a higher dynamic range. Peter provides a comprehensive explanation of the color and imaging issues involved and how the broadcast sector might address these issues in the coming years. Feel free to contact me if you have further questions at 801-575-8801 Today!, or you can contact Peter directly at +31-161-850-450 Today!